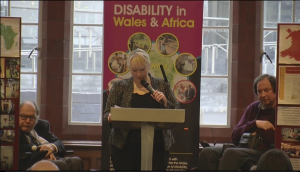 A fantastic short video on access for Disabled Persons in Africa, well worth a watch! Today we introduce another DWA member in Donald. 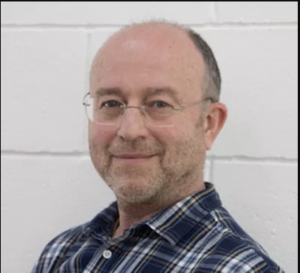 Donald is an experienced leadership and team building facilitator working extensively with UK and international organisations with expertise in board development and leadership strategy. He is a director of a number of businesses managing property and property rental to provide community space for meetings and local activity. He is married and lives in Wales. He has a passion and focus for developing human potential reflected in his work for Susila Dharma Britain. Abu joined the DWA management committee in 2012. Born and raised in Nigeria, Abu has a very good understanding of the challenges and opportunities facing disabled people in Africa. Abu currently works in the public sector, prior to this he worked for five years as a Project Officer with Disability Wales, on a project supporting disabled people into self-employment. 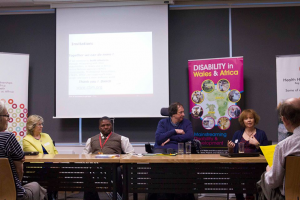 Continuously driven by a passion for achieving equality and inclusion for disabled people, Abu volunteers his time to mentor disabled people on the Disability Rights UK, Leadership Academy Programme and is also a Trustee of Able Child Africa. 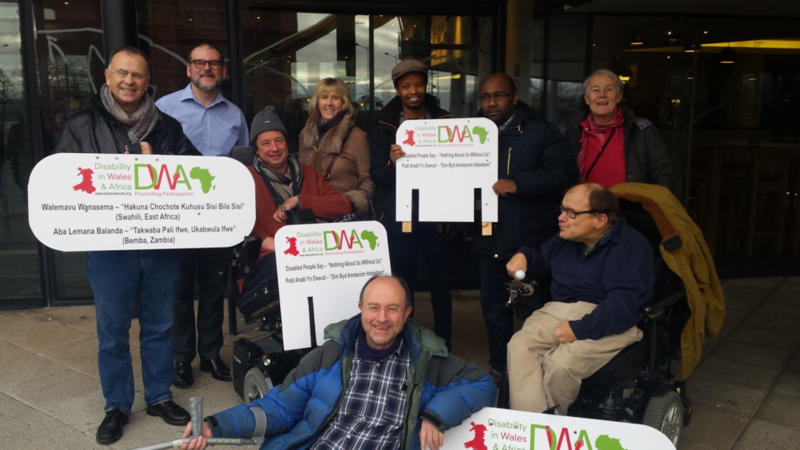 The following organisations have accepted the invitation to join in us arguing that “Disabled People’s Participation Should Be Expected, Not Just Accepted”, and have become members of DWA. Why don’t you consider joining us too? Email: dwanetwork@gmail.com to add your organisation to the page. Today is December 3rd and the International Day of Person’s with Disabilities. 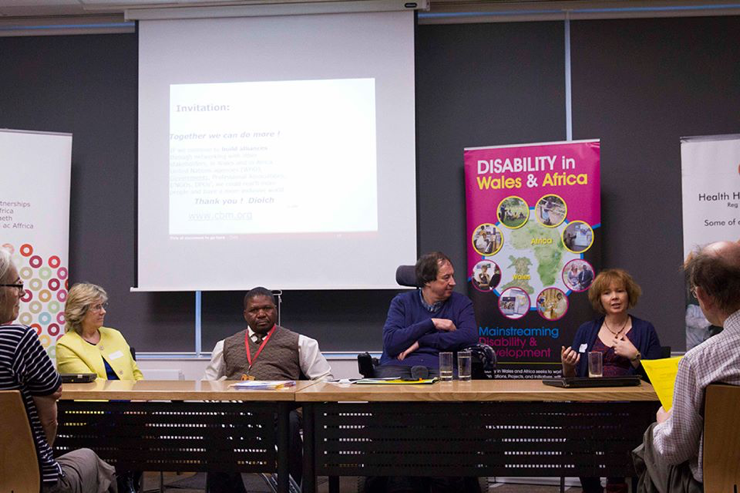 Following our week long campaign looking back at activities from previous years we are happy to announce the winner of our poll for our campaign slogan is “Disabled People’s Participation Should Be Expected, Not Just Accepted” with 53% of the vote! 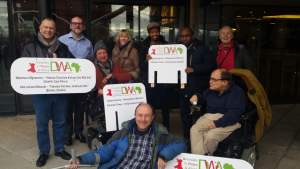 When disabled people appear at an activity, we welcome them, but when they are not there do we ask why? We will shortly be announcing this campaign and keeping you to date with UNIDPD activities. Just on more day until the UNIDPD. 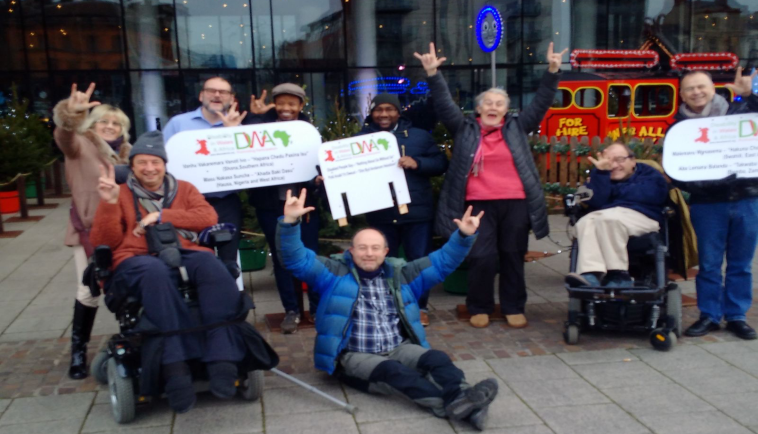 Today we look back to December 3rd 2016 where DWA held an event at the Welsh Millennium Centre at the same time as similar activities were taking place in Africa! 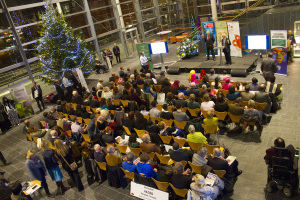 In 2015 on December 3rd DWA joined with Hub Cymru Africa to celebrate the UNIDPD in the Tŷ Hywel building of the National Assembly for Wales. The event attracted visits from Welsh Assembly Members and included speeches from Rhian Davies, CEO of Disability Wales, and Jonah Sialumano the Manager of Health Help International (Zambia). 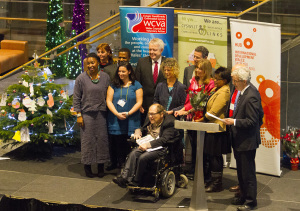 Today we cast our minds back to the 2014 celebrations of the International Day of Persons With Disabilities! 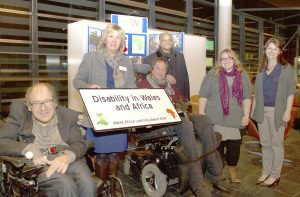 After a year going around different locations within Wales, and being shared with our Kenyan colleagues, the DWA photographic exhibition finished 2014 in the public foyer of the Welsh Senedd. 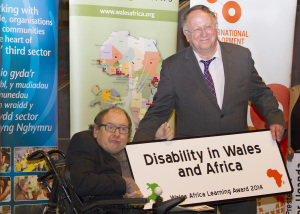 DWA also received an award recognising its work promoting disability inclusion within Wales Africa. Today we look back to December 3rd 2013. When DWA launched, at the Pierhead Building in Cardiff Bay, a photographic display comparing life for disabled people in Kenya and Wales. 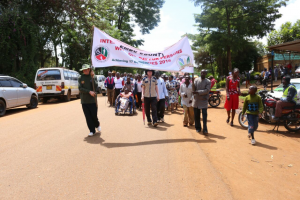 The failure to reach children with disabilities is one of the biggest stumbling blocks standing in the way of success for the UN’s Sustainable Development Goals, which promise to ensure ‘inclusive and equitable quality education’, for all, by 2030. We are in a great position now to change the situation. We need to get governments at all levels including development cooperation, foundations, and NGOs to increase investment in disability-inclusive education. In order to make this happen, we need to stay informed about advocacy opportunities, strategically organise ourselves and share experience about our efforts. Please sign the Call to Action (CTA) to Invest in Disability-Inclusive Education to help to rectify this. 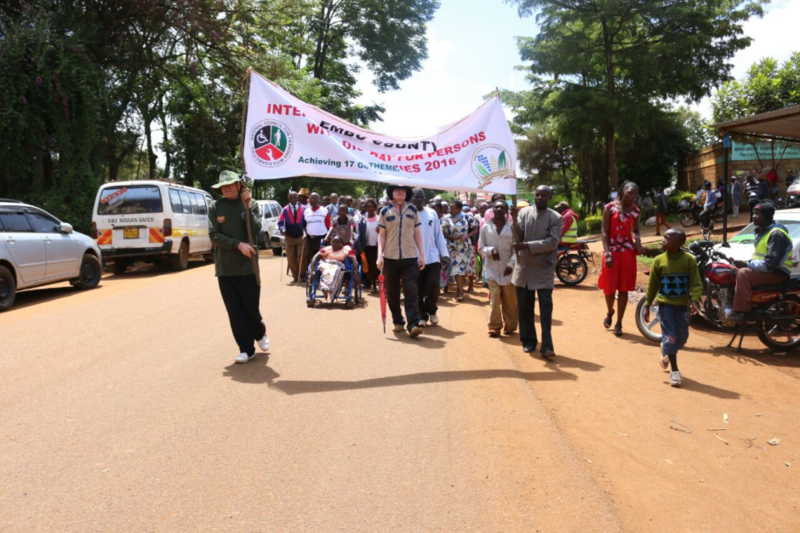 The EduInvest Quest newsletter, which will be launched on during the week of World Disability Day will help us stay connected, together and informed. It will also show-case good practices of those answering our call to make inclusive education for children with disabilities a priority. Would you like to keep in touch and get more tools and information to bolster your advocacy on international, national and local levels? Simply register by clicking on here.